You know what’s better than Valentine’s Day? Galentine’s Day—a whole day dedicated to the celebration of female friendships! 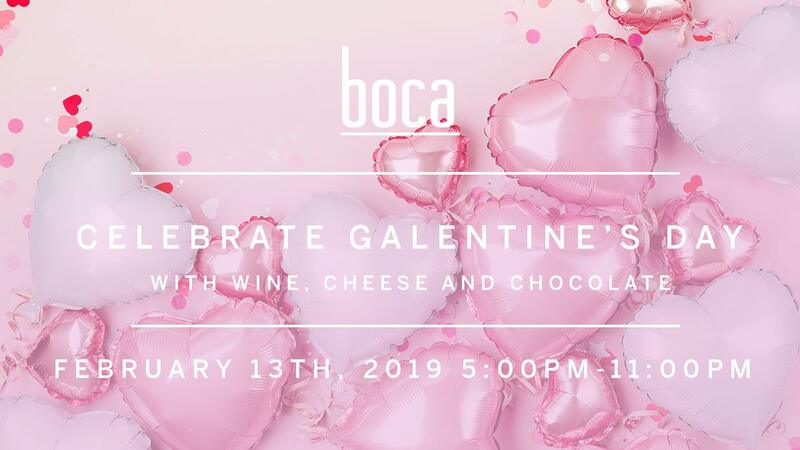 You and your best gal pals are invited to join us for a special Wine, Cheese and Chocolate pairing event on February 13th from 5pm-close. Enjoy tastings of decadent chocolate and cheeses paired with a glass of wine of your choice. Available in our bar area only.